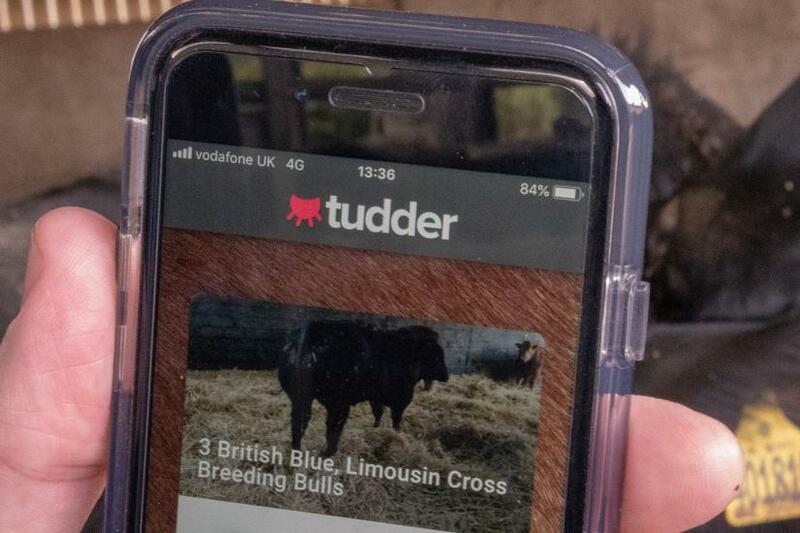 Called "Tudder" - a mix of dating app Tinder and udder - it lets farmers swipe right on cattle they like the look of. Valuable information is available on matters like milk yield and protein content, or calving potential, explained Doug Bairner, CEO of Hectare Agritech which runs SellMyLivestock (SML) and Graindex, a UK-based online agritech trading platform. "Matching livestock online is even easier than it is to match humans because there's a huge amount of data that sits behind these wonderful animals that predicts what their offspring will be," he said. Launching just in time for Valentine's Day, the makers believer Tudder is the first ever matchmaking app for livestock. As with the human equivalent, farmers use smartphones to first choose whether they are looking for a male or female, swiping through photos - right for yes and left for no - until they find a match. "You've got all this data of its background and everything which if you're at a market you might not have had the time to go through for every single random animal," he told Reuters in the southern English county of Hampshire. "There's nothing better than seeing an animal in its home, its natural habitat, rather than putting it on a lorry ... if someone rings up and wants to come and have a look, or even getting it from the picture, it's ideal really from that respect, and they're happier for it." SellMyLivestock has listed over £50 million ($64 million) of livestock, feed and bedding to sell in the last year, dispelling notions that farmers are stuck in the past, Bairner said. "Despite the rest of the world's view of farming, it's actually very technologically driven," he said, citing precision spraying, automated dairy units and genetic science.